Land Development and Planning: Principals Ray Hashimoto and Tom Armstrong, and Planner Deena Morsilli. Public Works: Principals Jon Cacciotti and Bill Wagner. Jennifer: Let’s start by touching on your early career and your role at HMH. Deena: My undergrad degree is in environmental studies. I started at HMH in 2013 as an intern, helping put together land planning documents for land use entitlements. At the end of 2014, I was working full-time as a Junior Planner and moved up to Assistant Planner and now to Planner. Obviously, HMH has been a great place to grow and learn from the pros, including Principal Tom Armstrong. During that time, I earned my master’s degree in urban planning. I am committed to working with our private development clients on a variety of project types, including residential, commercial, mixed use, industrial, and institutional. Ray: I am one of our senior-most leads on land use and entitlement for land development projects, with over 20 years at HMH. My 35-plus-year career is a productive blend of my interest in both urban design and political science. For almost 15 years, I held zoning and planning positions for the City of Palo Alto and The City of San Jose. I also have worked on the private side, helping telecommunications companies establish networks, so I understand both sides of the development equation. Thanks to my years in this region, I have deep resources of respected contacts. Jon: I’ve been at HMH for about 10 years. My entire focus has been in the public side, and I absolutely love that. One of my first projects was the VTA’s BART Phase 1, which developed my technical and communication skills. I’ve had the good fortune of working with my HMH mentor, Bill Wagner, who’s been a staple of our company for many years now. Bill has a real respect and a commitment to delivering the project with a very ‘get it done’ mentality. I appreciate that, and I think the same way. The project comes first, and we find ways to work through issues to keep moving on. Now, as a Public Works Principal, I’m leading our group, which is working on projects like 280 Wolfe, 101 Blossom Hill, and several City of Cupertino bike/ped projects. Dave S.: I started here as an intern, too, and am now nearing 25 years of HMH tenure. From the beginning, I was fortunate to have worked with some great HMH leaders who were also outstanding teachers. That educational tone remains part of the HMH culture to this day. As a civil engineer, I started with the Highway 85 project –learning a lot about hydraulics– and continued later with the Evergreen Specific Plan, Communications Hill and more. Then I made a career change and focused on the important role of surveying. Now I oversee up to eight field survey crews and six people in the office. We provide support for almost all of HMH’s planning and design projects and also provide field surveying services as a stand-alone capability. Bill : My very early work was for the public sectors but I moved into the private side and developed a great sense of appreciation for transportation projects. Transportation touches us all, and it’s so vital to our lives. I am enjoying a long career, with many complex challenges but the very core, hands-on work of running the project, delivering the project on schedule, seeing it built — all while educating and growing the HMH team — those have all been my constant motivators from day one at HMH. Tom: In studying regional planning at Cal Poly San Luis Obispo, I realized I liked the notion of constructing cities. I started here as junior planner and thrived at getting entitlements. Now it’s 30-plus years later and I always say “Being told ‘no’ by everybody everyday” made my career challenging and deeply satisfying. My team knows how to objectively problem-solve and work towards our clients’ goals. 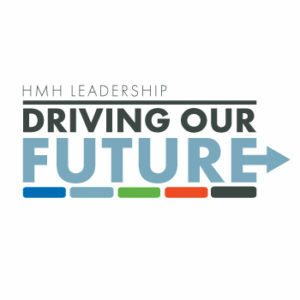 Jennifer: What are some of the foundations of HMH’s approach now and into the future? Denna: Relationships are at the core of our capabilities. We’re responsible for professional connections with the city and other agencies, and for having constructive interactions that help us accomplish our client’s goals. We’ve been operating in this geographic area since 1976, when our company started. So, we have not only the relationships, but also the experience working with the local codes, ordinances and history. Jon: Knowing people and leading on behalf of clients are key. I try to be out in the community. I’ve taken on a leadership role with the American Public Works Association. I’m on their local Board of Directors. I’m also currently the treasurer for the South Bay Transportation Officials Association. I’m involved in local industry groups, and I’ve made it a point to represent HMH out there and stay as current as possible on industry issues and trends. Dave S.: Relationships are vital to our land survey services, too. Seeing the entire project team in person is critical. I personally try and attend the construction meetings because I always find that the project will progress better if you get to know the other project partners and build on those key relationships. And, being there in person at meetings and being on the site — not just calling or emailing — are meaningful and speaks to the interactive and collaborative spirit of HMH. Ray: My long career here is all about what I’ve done for relationship building and my capacity to bring value to clients by being able to get access and answers from people. So, knowing what happens when a project hits city hall, and then utilizing my network of contacts on the public agency side are at the core of my work. Integrating our up-and-coming HMH leaders into my network is key, too. Sharing our collective knowledge makes all of HMH strong. Bill: I agree that our client relationships are vital. And we have cultivated a deep pool of talent at HMH to keep those relationships solid for the long-term. In our Public Works group, Jon is exceptional, as are Tony Silva and Megan Cronan, to name a few. They are the nucleolus of a real energetic team. My job is to continue to benefit clients by putting our group’s smart thinking on complex, multi-layered challenges that ultimately benefit our region. Tom: The foundation of our client relationships is trust. Earning and preserving that trust is essential. Our agency contacts realize that, at HMH, we consistently do what we promise to do, which is work with clients to accomplish a well-communicated plan. The HMH Entitlements and Planning group knows reputation is critical. Keeping our word is ingrained in the HMH methodology and mind set. Jennifer: What else defines the working methodology of every department at HMH? Deena: Clear communication is a trademark of HMH. When negotiating with civic agencies and leading on behalf of our clients, you’re never going to make everyone happy. But keeping transparency at the forefront of communications is vital. We know how to relay the realities of a complicated process and lay out viable options. Jon: One area where we try to communicate and lead is our approach to project scheduling. In Public Works, the process can take years. We start with a very aggressive schedule. We always come in and say, “This is our best schedule. We might slip a little bit, but let’s put this on paper and try to deliver it.” That way everybody knows what the goal is. HMH leads with “Here’s a schedule that’s ideal and let’s all start pointing to it.” I think that’s really appreciated. Tom: To answer broadly, constant communication is our HMH hallmark. We always get our staff out to the public realm and have them meet agency staff in person. And, we keep our outlook objective. Said another way: in Land Entitlements, it’s not good news or bad news. Instead it’s news we can manage; news we can use for planning options; news that helps us navigate on behalf of our clients. Bill: In Public Works, public agencies are our clients, and we have to be very respectful of boundaries. But we find a way to collaborate and work together. Sitting down together, exchanging ideas, getting out paper and sketching out concepts – these are the ways we advance new thinking and innovative strategies that lead to a better, more efficient, safer solutions. Jennifer: What are some current industry issues, and how is HMH responding? Dave S.: These days, the most difficult part of a project is the conform. With mostly redevelopment and infill, projects are more complicated now than they used to be. You’re dealing with a lot of existing constraints and unknowns about the property – unidentified pipes, historical plans that do not match, trenches carrying tech systems, and even fuel distribution lines running through the site. At HMH, we use our decades of local knowledge and our overlap of engineering, public works, surveying, and landscape expertise to mitigate the impact of in-fill project surprises for clients. Deena: The resistance to higher density, especially in some of the more established communities, is an issue to be managed. As we start to run out of available land, at some point you have to stop building out and start building up, if the population is going to continue to grow. We have seen the counteraction to the NIMBY movement in the YIMBY movement, or yes in my backyard. We are now seeing more proponents of building higher, more dense developments, especially close to transit. That concept makes sense to people, as it reduces dependency on cars. Our HMH team is staying at the forefront of housing issues, policies and community sentiment. As an example, Market Park contains successful answers to housing issues, with homes sited near a new BART station, with office space, retail, parks, and trail access all planned within walking distance. Ray: I echo Deena’s thoughts. The number one challenge for our clients and agencies is housing. Where are we going to be able to provide this housing? How can the cities organize or write policies that encourage housing? How do you balance the range of need for moderate and low-income housing? And these topics are compounded with the issue of homelessness in both San Jose and San Francisco and other places. Housing is a complicated –but achievable–necessity in our area. We thrive on helping clients find a path to being part of the solution. Jennifer: What about future challenges? Jon: I don’t even see it as a challenge as much as an opportunity, but there’s been a major paradigm shift in embracing bicycle and pedestrian accommodations. Everyone recognizes the congestion, and they’re looking for alternate modes of transportation. At HMH, we’ve positioned ourselves as a local expert in bicycle and pedestrian modes, evident in the McClellen Road project. There’s a willingness for original solutions and an opportunity for creativity. Autonomous vehicles are another shift in the transportation section. I am staying on top of tracking this new mode. It’s our job at HMH to predict and anticipate for our clients. Bill: Some changes will always be there in the future. Such as funding cycles swings, which impact our public agency clients greatly. But our HMH expertise helps us manage the fluctuations in the economy. And, educating the public on the need for and the potential of infrastructure projects is another given in the future. Here at HMH, our professional industry leadership and affiliations with business associations help us champion public improvements. Tom: What’s coming down the road? The ever-increasing complexity of legislative-driven regulations. However, pessimism certainly does not cloud our ability to get to a client’s goal. HMH is talented in its ability to “see around the corner” and anticipate new parameters. We have so much experience and expertise as a team, so we know how to confidently craft strategies and trust our instincts. Jennifer: What keeps you passionate about your career? David S.: I grew up in San Jose. When I first started at HMH, I said to Jim Harper: “Do I need to go somewhere else? San Jose’s done.” And he said, “San Jose is not done. We’re going to tear it down and rebuild it to be better.” He was right. That’s what we did and what we’re doing. We are making this area safer, healthier, better constructed, more livable, and more vibrant. It is great to be a part of it. Bill: My passion is being engaged in projects. And I am excited to see that same excitement reflected in the HMH Public Works team. I grew up in a family which celebrated education. So, for me and my group, problem-solving on both a massive and micro scale is a noble endeavor. Jon: I love what I do, because our work makes the world a better place. What makes me happy is actually being able to influence the lives of thousands of people, the community on a whole. I enjoy the atmosphere of forward thinking here at HMH. To be responsible to our clients, we must design for the future. Deena: One of the things I like most is being able to see the projects that I’ve worked on get built and come to life. Being able to drive by and say, “I worked on that. I helped make that happen” is at the core of my motivation. That gives me an extra sense of pride. I appreciate and thrive on the responsibility to bring projects to reality for clients. Ray: There’s a social aspect to city planning. Every day is certainly working with a lot of people on a lot of different levels, either in government or on the private side. The team setting, that’s what draws me in. It’s invigorating that you’re in groups, and that you’re working with the community, whether it’s a private or public project. I enjoy my client relationships. I enjoy my relationships with the agency staff. And, of course, I just love the urban environment – with its possibility for fostering positive interaction and vital living. Tom: In an amazing experience, I was on the first commercial flight allowed out of San Jose Airport after 9/11 in 2001. It was a helicopter flight, and we were taking aerial photos of the airport and cities nearby for assessment and planning studies. It was a time to think big about our place and mission in the world. For me, that vantage point gave me hope. It crystalized that HMH was part of thousands of advancements in growing cities. From Fremont, San Jose, Santa Clara, all the way to Gilroy in homes, offices, stores, roads, trains, and parks, HMH is — and will always be — strengthening our urban fabric with integrity. Another HMH blog covers thoughts from Civil Engineering Principals Zef Jimenez and Stephan Kuehn, and Land Development and Planning Manager Vitina Mandella. Another HMH blog covers thoughts from Landscape Architecture Principals Bill Sowa and Jackson Derler, and Manager Brian Glick. Look for a new blog post with insights from David Wilson, HMH President, coming in the next few weeks.